SGS is Neutral and RTS is in cash. 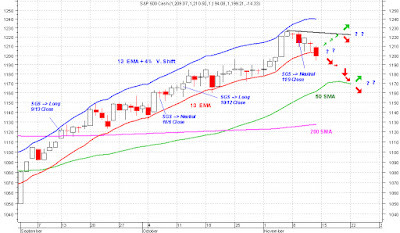 Market sold off this week and SPX closed just below its 13 D-EMA on Friday at 1200. 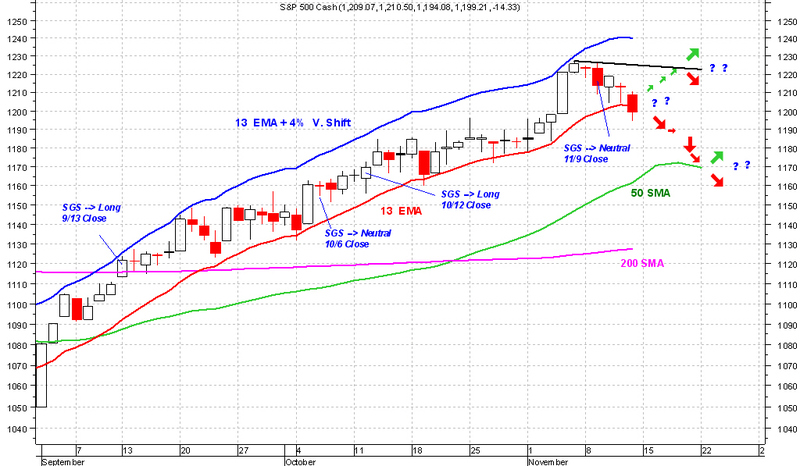 Ever since this rally started (Sept 1), SPX has bounced sharply off its 13 D-EMA. This time it's just sat there, just below it. To me it means that Market is on the fence and it's hard to see what it might do. Below a number of probable moves are shown graphically. I think the likelihood of a bounce and a try at the new resistance line (solid thick black line just above 1220) is good.